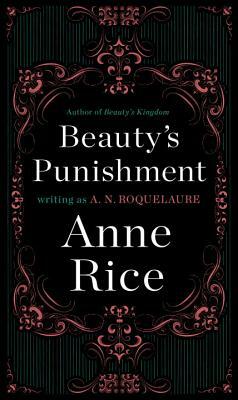 This sequel to The Claiming of Sleeping Beauty, the first of Anne Rice's (writing as A.N. Roquelaure) elegantly written volumes of erotica, continues her explicit, teasing exploration of the psychology of human desire. Now Beauty, having indulged in a secret and forbidden infatuation with the rebellious slave Prince Tristan, is sent away from the Satyricon-like world of the Castle. Sold at auction, she will soon experience the tantalizing punishments of "the village," as her education in love, cruelty, dominance, submission, and tenderness is turned over to the brazenly handsome Captain of the Guard. And once again Rice's fabulous tale of pleasure and pain dares to explore the most primal and well-hidden desires of the human heart. Preceding the visceral eroticism of E.L. James’ Fifty Shades of Grey and Sylvia Day's Bared to You, and even more haunting than her own novel Belinda, this second installment in the Sleeping Beauty series is not to be missed.